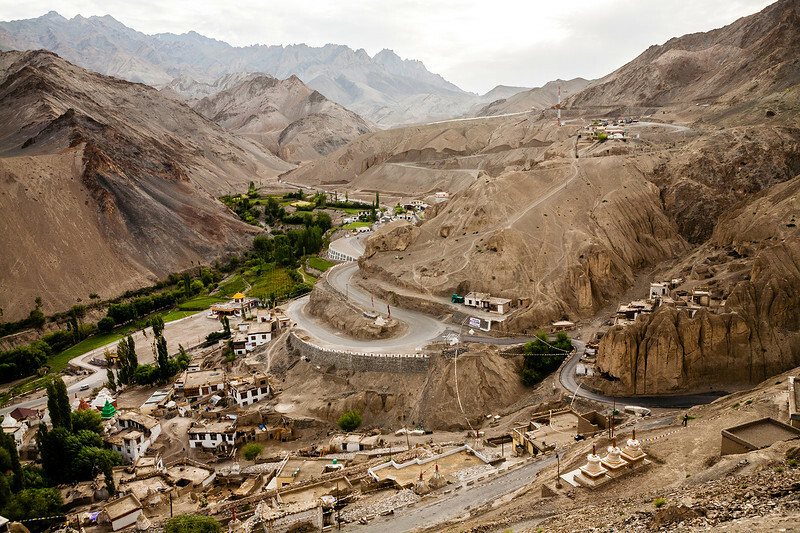 Kargil is the midway of the Srinagar-Leh highway, NH1-D. 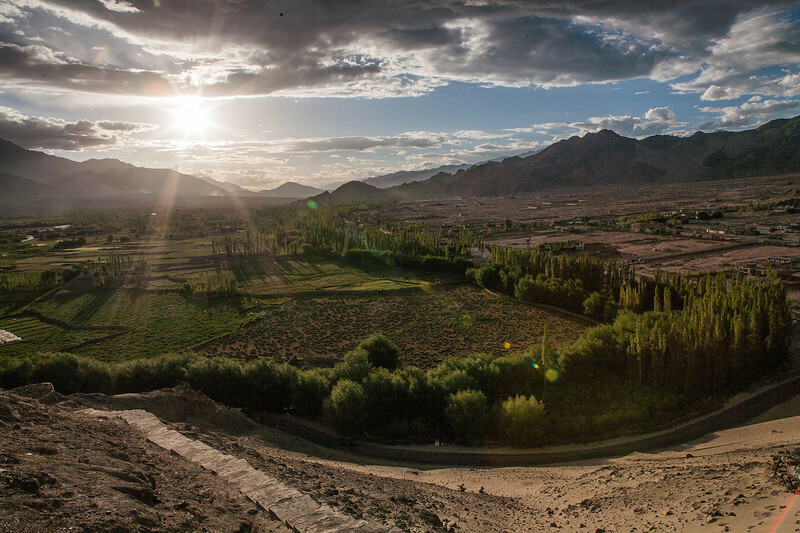 It is suggested halt for the night before reaching Leh for altitude aclimatisation. Our bus left Kargil at around 4 AM. 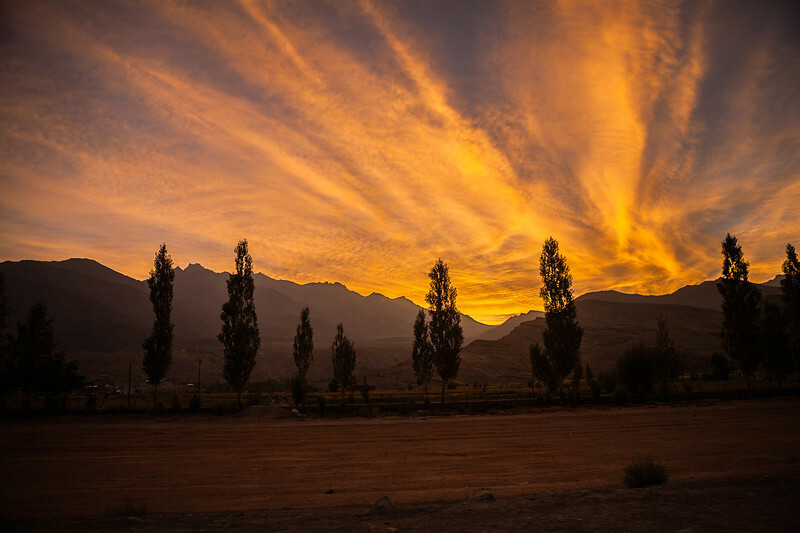 Just as we were getting out of Kargil, we were greeted with this sunrise. 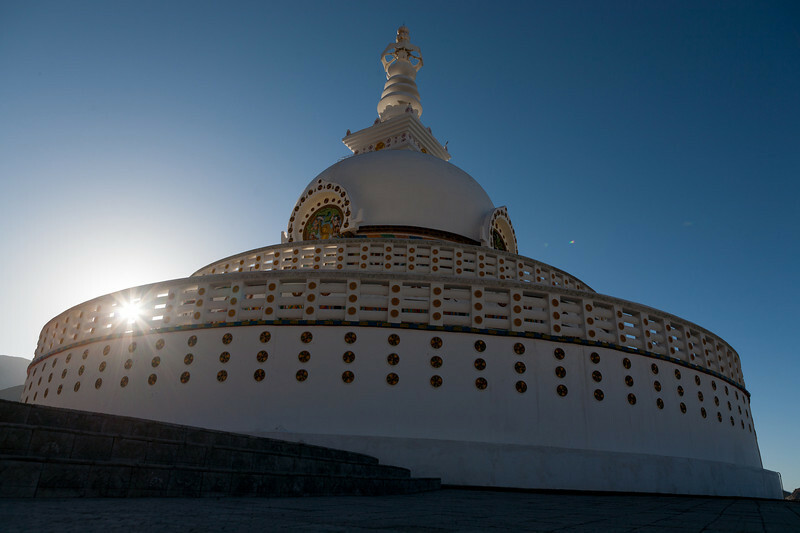 The Shanti Stupa is an iconic structure in Leh. Atop a hill climbing 500 steps, reaching here by foot requires a lot of effort. Specially because of the high altitude. 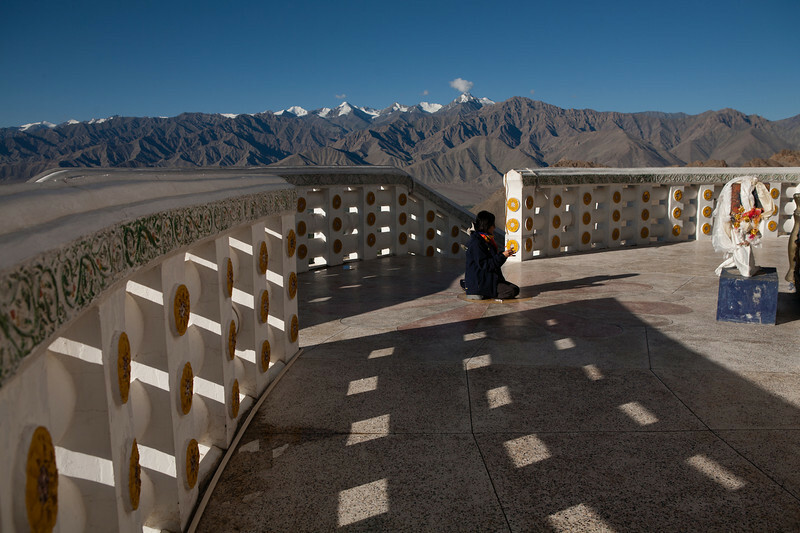 On the top, it is a place for breathtaking views, some peace and quiet, meditation and prayers. 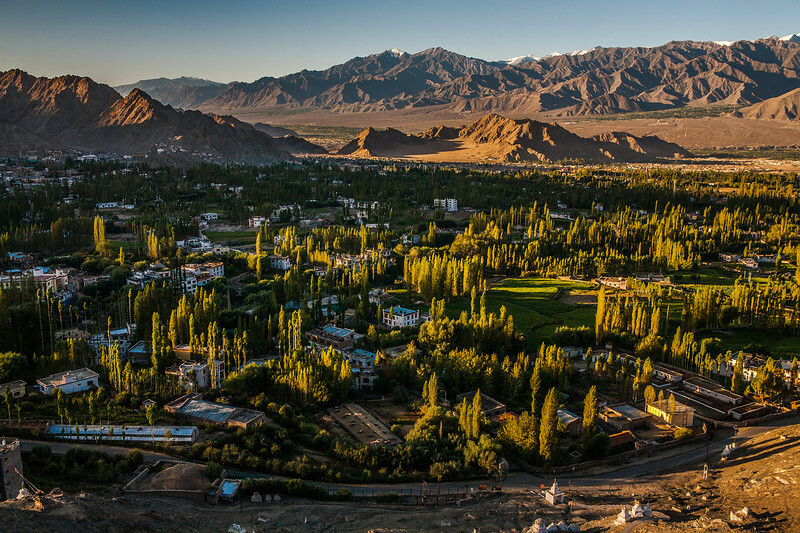 The greenery in Leh makes us forget that Ladakh is actually a cold desert. The trees are are a result of water harvesting efforts put in by the locals. 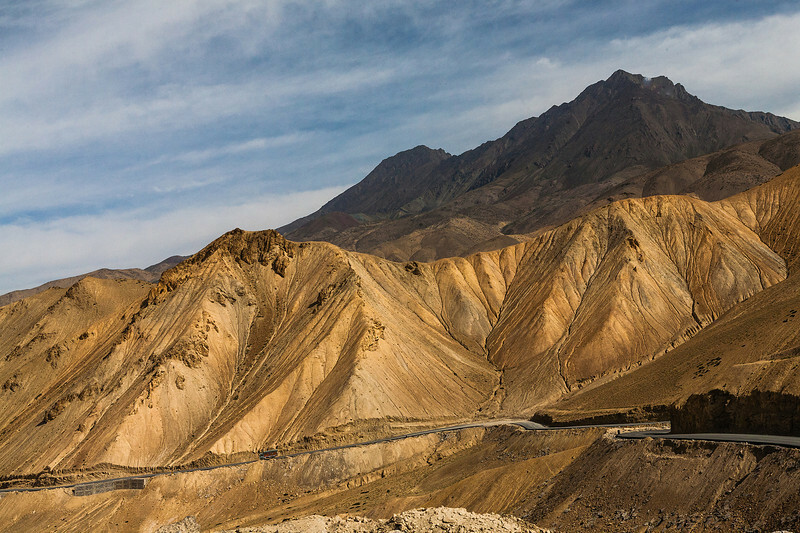 Rock formations on the Leh Manali highway. They looked like needles rising in the sky, reminding us of the sand castles we built on the beach as kids. Except that they were gigantic! 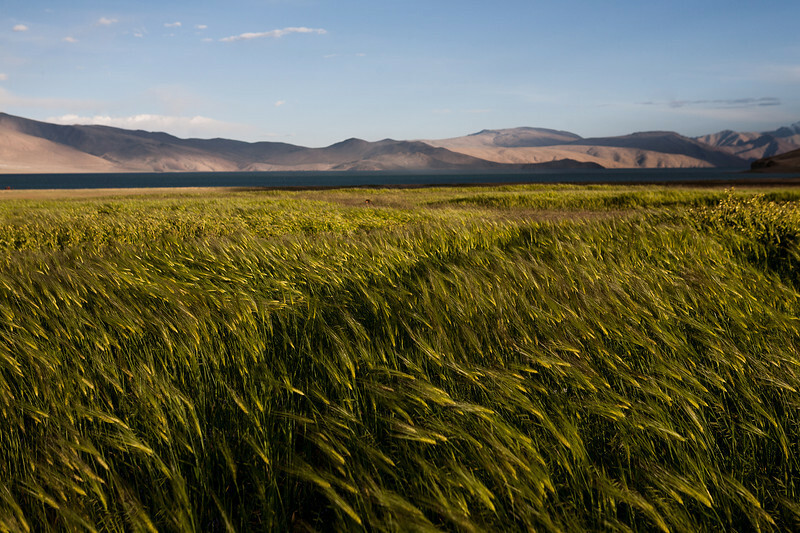 These barley fields separate the village Korzok, the base village for Tso Moriri from the lake itself. 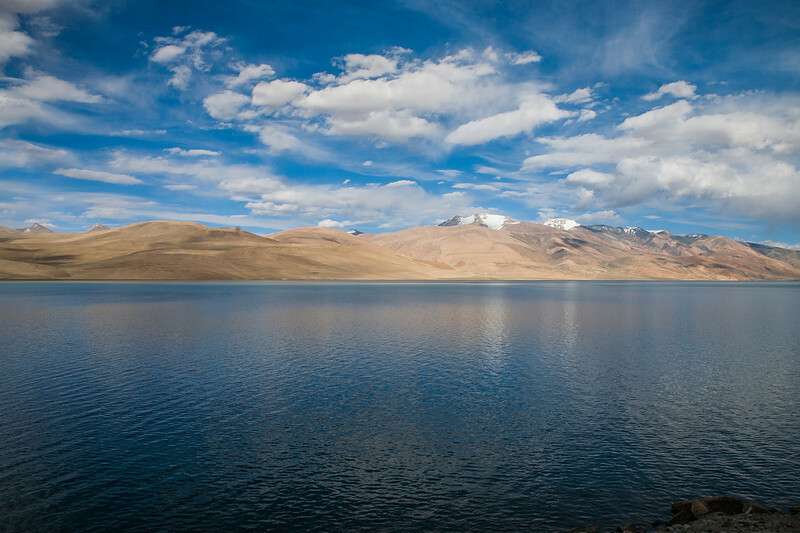 Tso Moriri is a high altitude mountain lake in Ladakh. 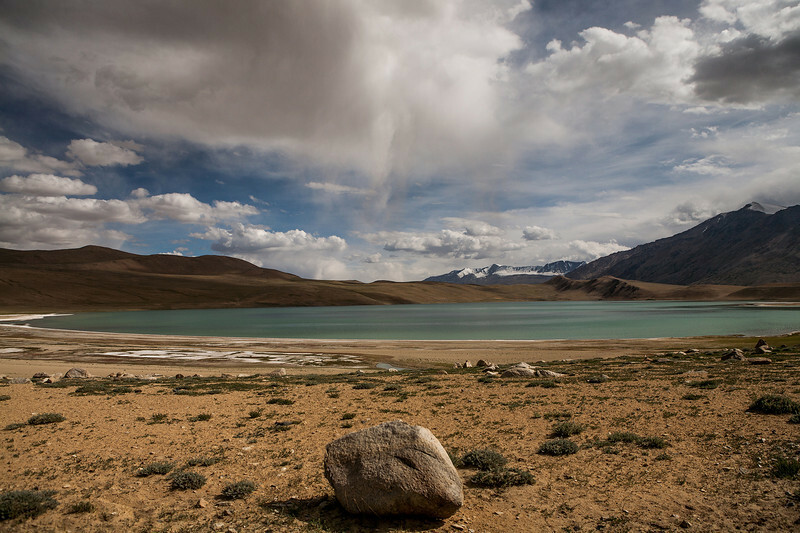 Read about our visit to Tso Moriri at Mystical magical Tso Moriri lake in Ladakh. Mighty, endless, vast, abundant, clear, beautiful and pure…it touches you and moves you like only Nature can. 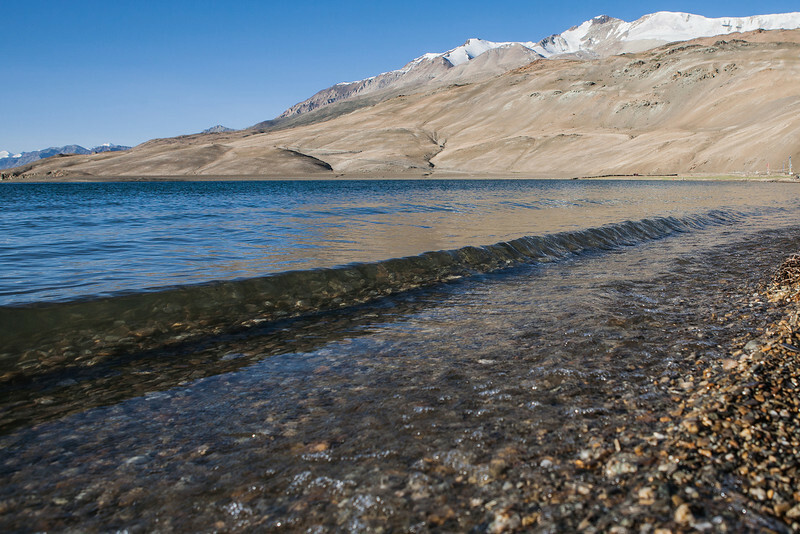 Read about our visit to Tso Moriri at Mystical magical Tso Moriri lake in Ladakh. A view from meditation hill. 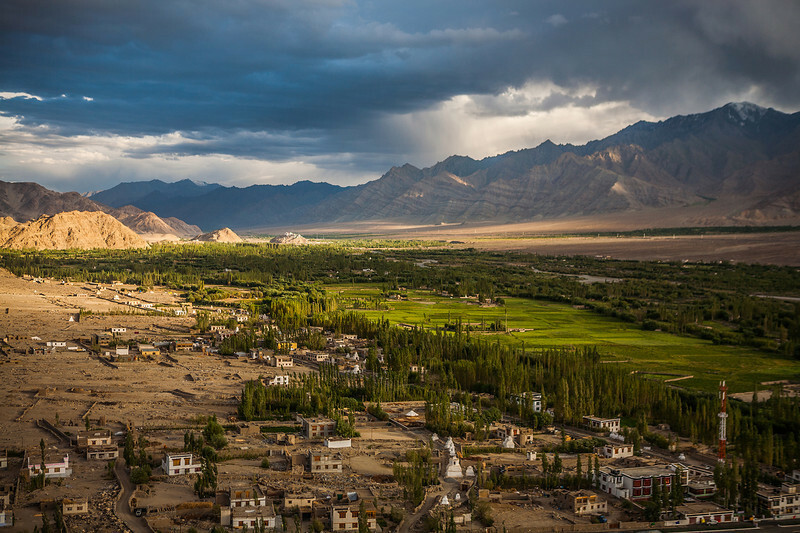 Lamayuru is a small village 100 km before Leh on the Srinagar-Leh highway. They even have guest houses named Moonland in Lamayuru! 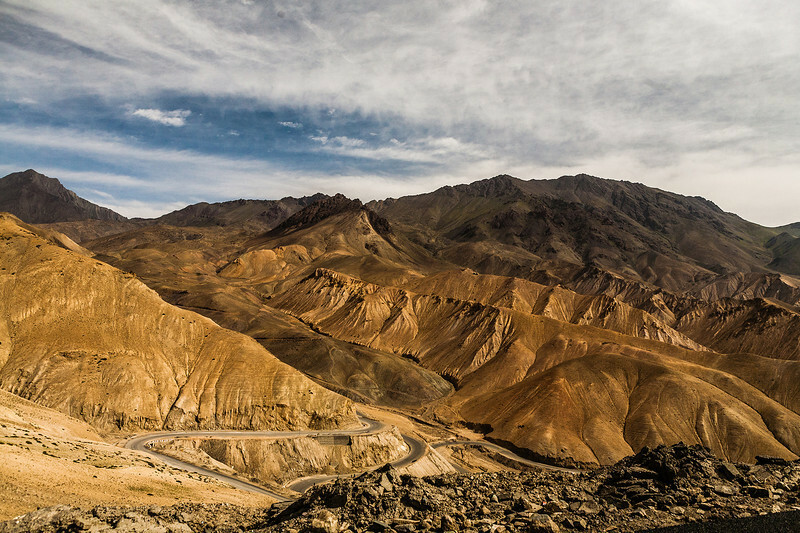 Namika la is a high altitude Himalayan pass on the Srinagar Leh highway. Read more on the Himalayan Passes at Mountain passes we crossed. Sunday is a relaxing day for the hard working construction workers on these mountain passes. 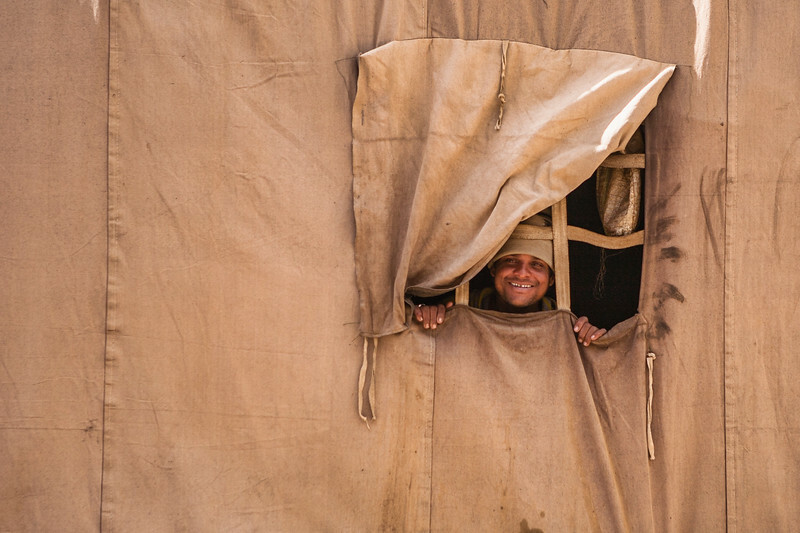 Our bus stopped outside this worker's tent and he greeted us with a big smile. These stones are an important part of the Buddhist culture, some of them being centuries old. 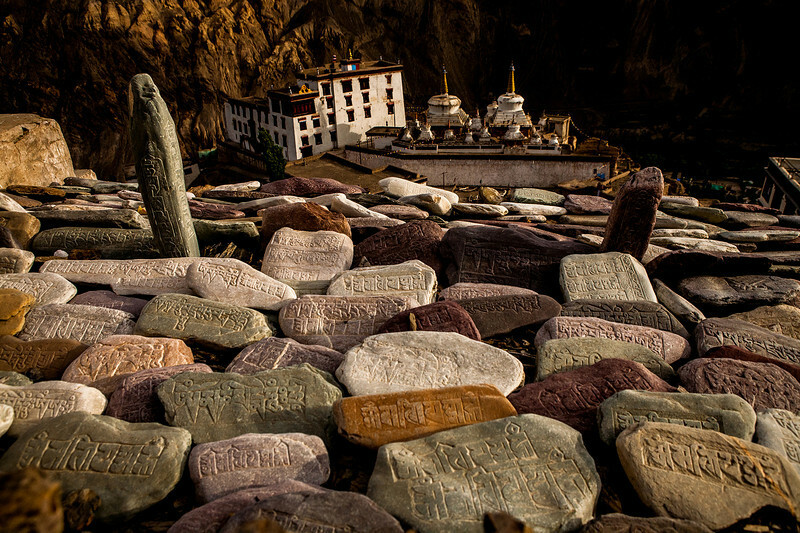 Carved meticulously with the beautiful Tibetan script, these stones are a piece of art. 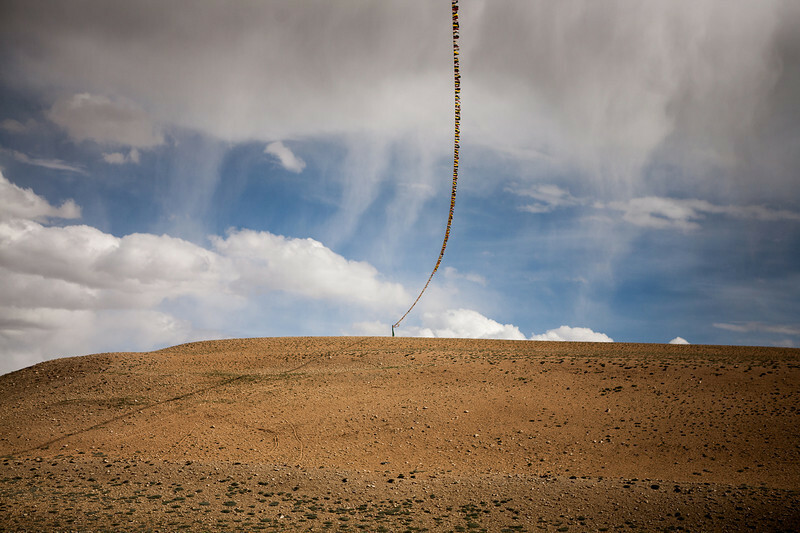 These were strewn on the way to the meditation hill in Lamayuru in the Ladakh region. 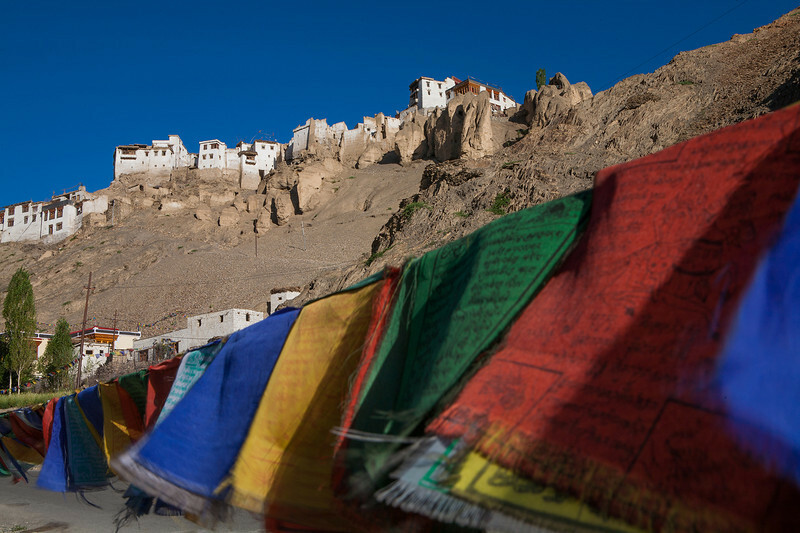 Their colours represent the colours one sees in the mountains of Ladakh. 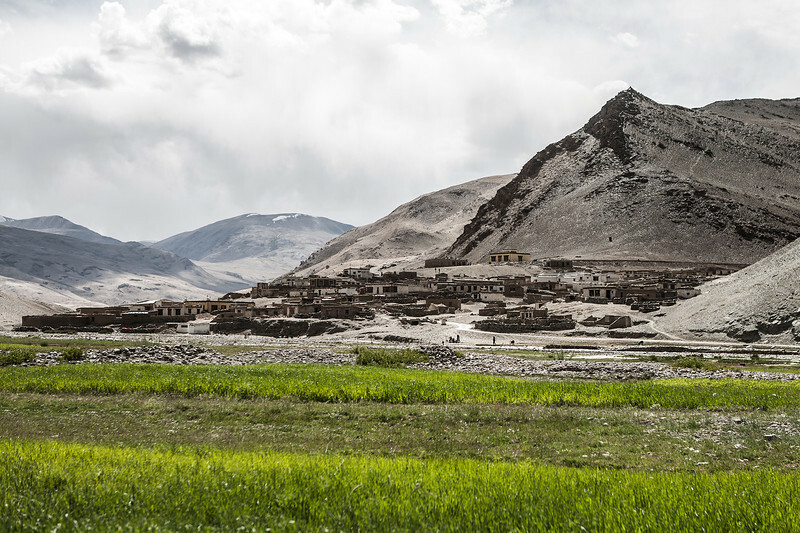 The Thiksey monastery monastery is located on a hilltop and we could see a panorama of beautiful landscapes all around. The sky was full of compelling colours of blue. And the light was a beautiful golden. Breathtaking views, some peace and quiet, meditation and prayers. Breath taking beauty deserves one of its kind commute. 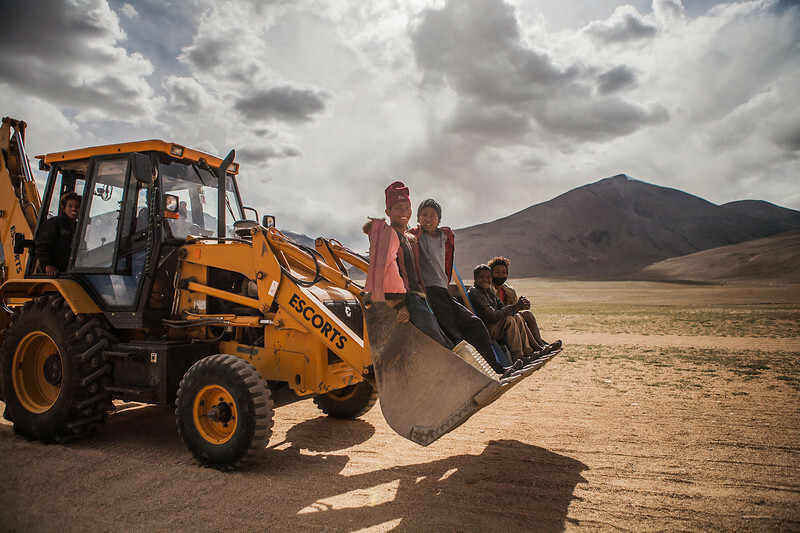 People working near the out-of-this-world-stunning Tso Moriri lake in Ladakh can not travel to work like you and I. Buses and trains won't do for them. Rakes of bulldozers will! 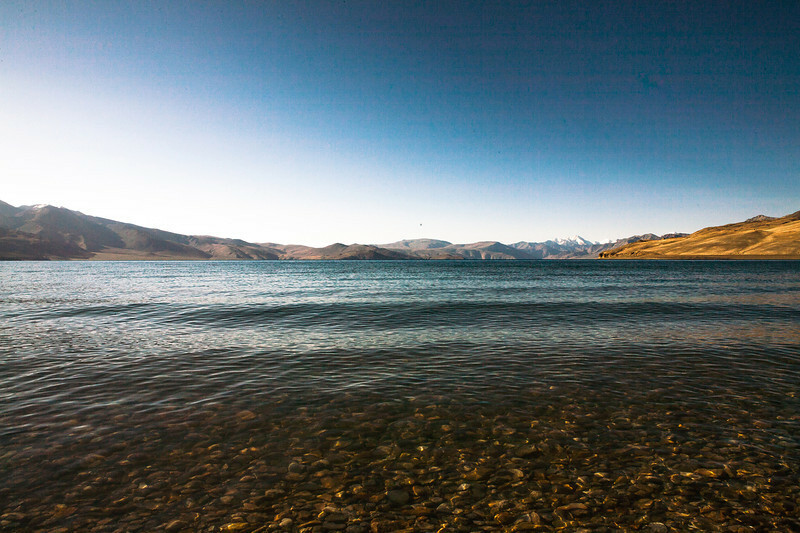 Read about our visit to Tso Moriri at Mystical magical Tso Moriri lake in Ladakh. 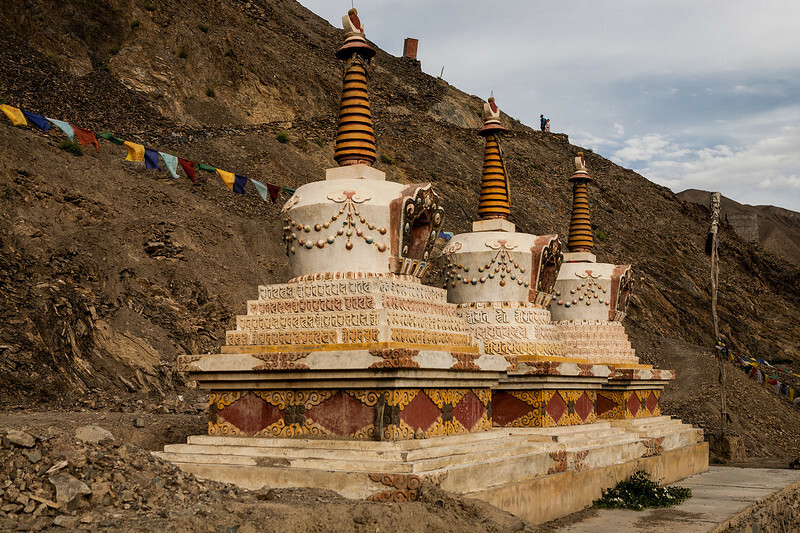 These were the most decorated stupas we saw in Ladakh. They are otherwise only plain white in colour, without any embellishments. We saw them on the way to the Lamayuru meditation hill. 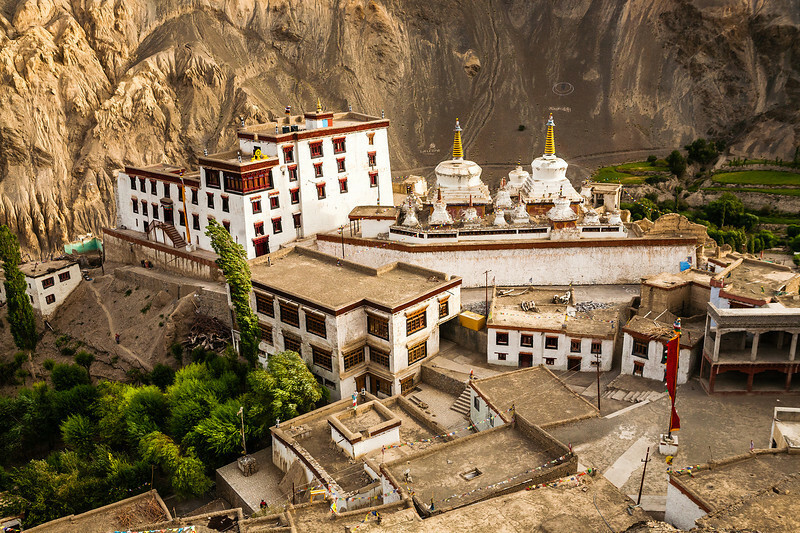 Thiksey monastery is situated on top of a hill, very close to Leh. 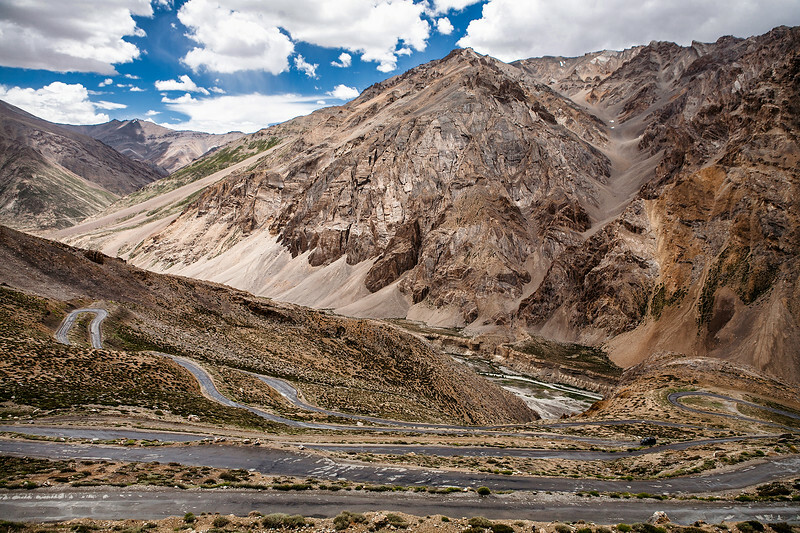 The last and the highest pass on the Srinagar-Leh highway. The roads are in an excellent condition and it is a pleasure to drive. Read more on the Himalayan Passes at Mountain passes we crossed. 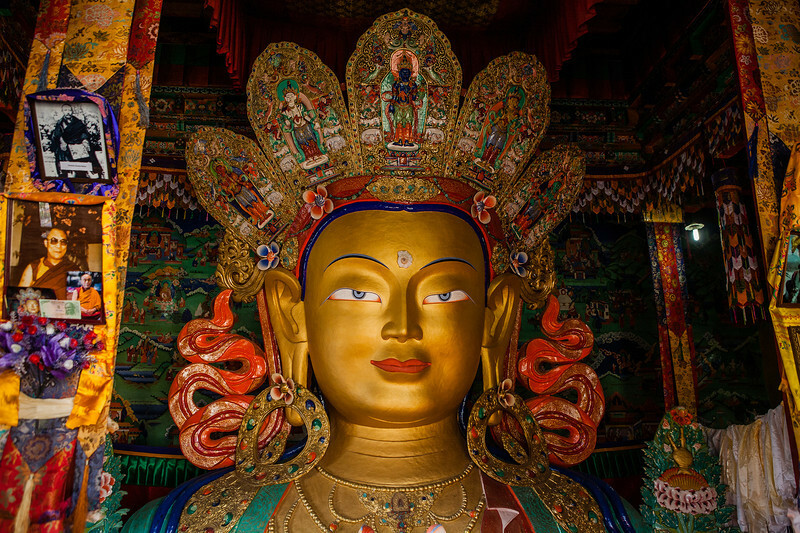 A two storeyed golden statue of Buddha is the main attraction of Thiksey monastery. 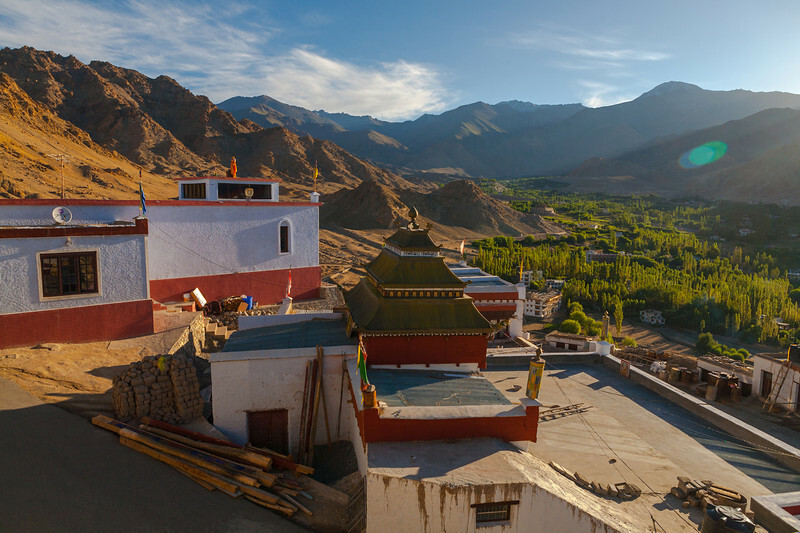 Thiksey monastery is situated on top of a hill, very close to Leh. View of Fotu la as we climbed up the meditation hill in Lamayuru. 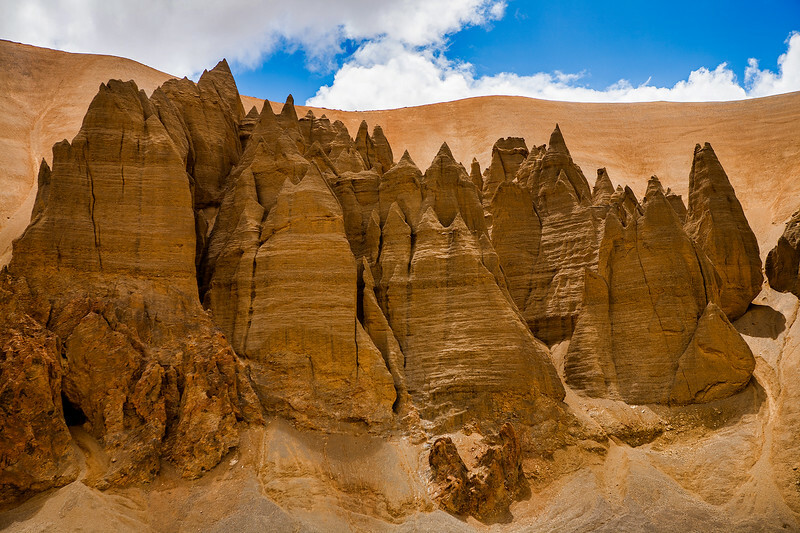 Lamayuru is a small town in Ladakh famous for its moonlike landscapes. 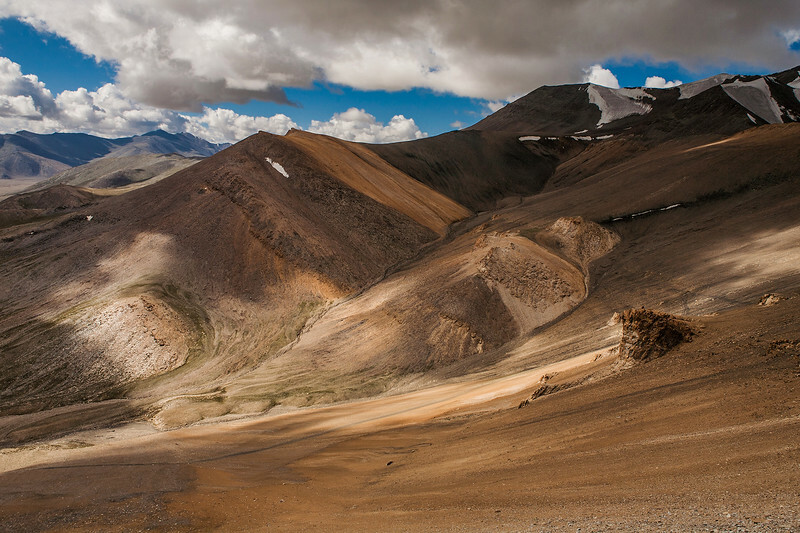 Fotu la or Foto la is the last and the highest pass on the Srinagar-Leh highway. The roads are in an excellent condition and it is a pleasure to drive. Read more on the Himalayan Passes at Mountain passes we crossed. 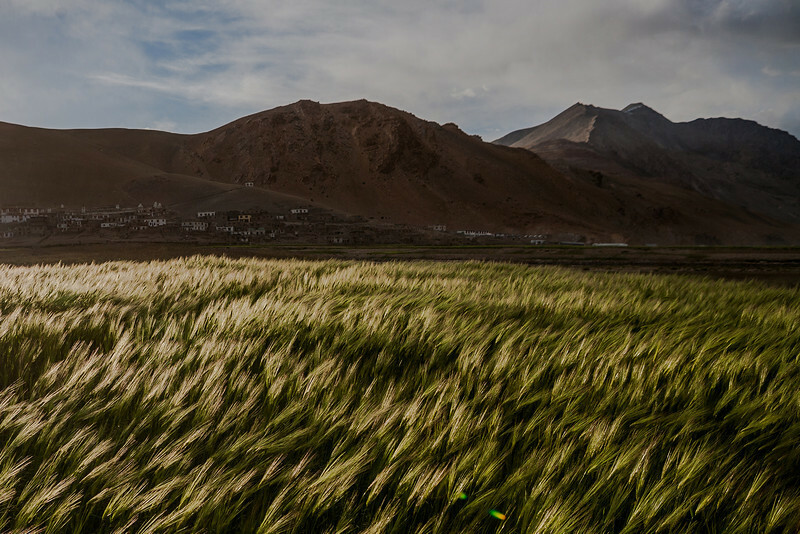 A typical high altitude Himalayan scene: Barley fields, white mud houses surrounded by the barren mountains. Out here, living in sync with nature is not a choice but the only way, life is possible. 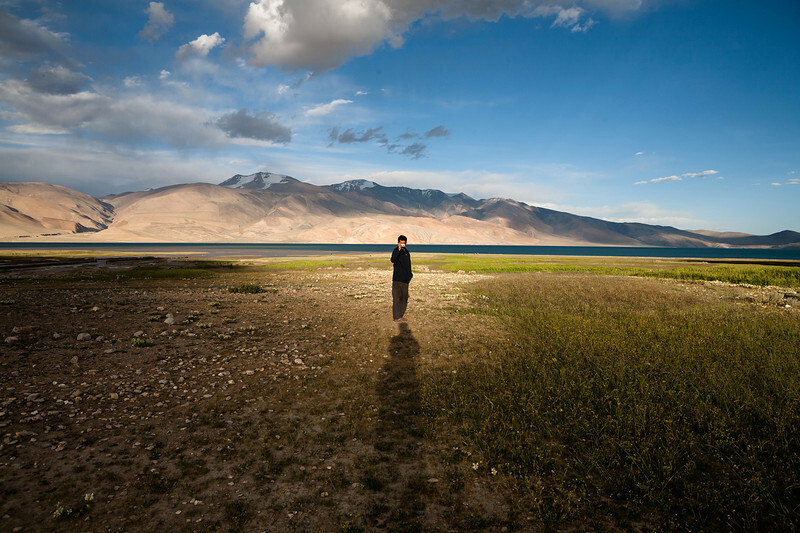 Read about our visit to Tso Moriri at Mystical magical Tso Moriri lake in Ladakh. 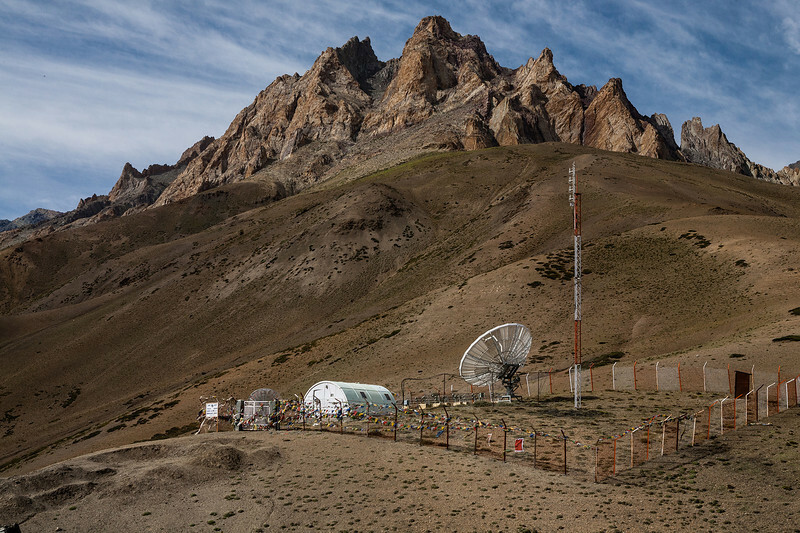 Tech-break on Fotu la, the highest mountain pass on the Srinagar Leh highway. This is an army setup just at the end of Fotu la near a small town called Lamayuru, famous for its moonlike landscapes. Read more on the Himalayan Passes at Mountain passes we crossed. 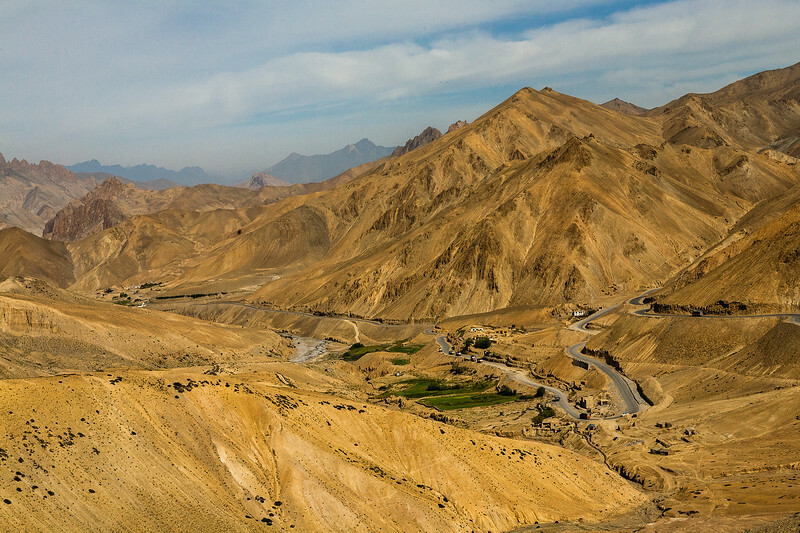 Kargil is the midway of the 420 km Srinagar-Leh highway, NH1-D. 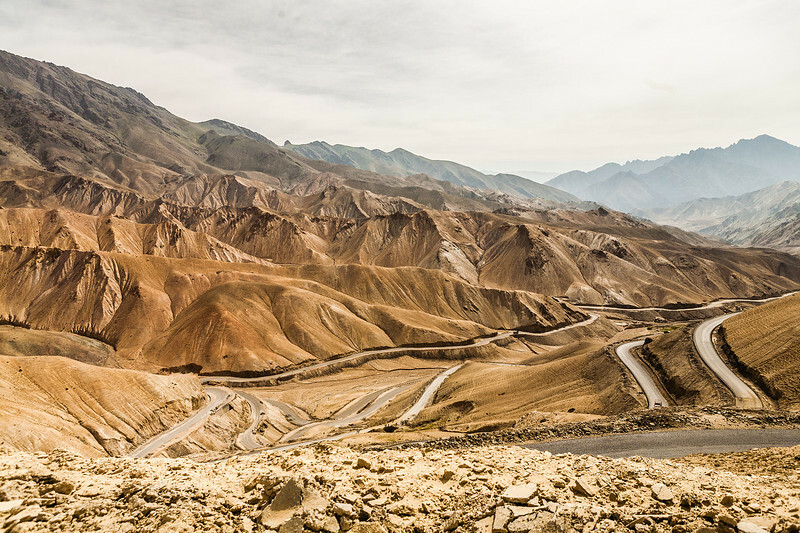 This highway connects Ladakh, a high altitude cold desert to the rest of India. 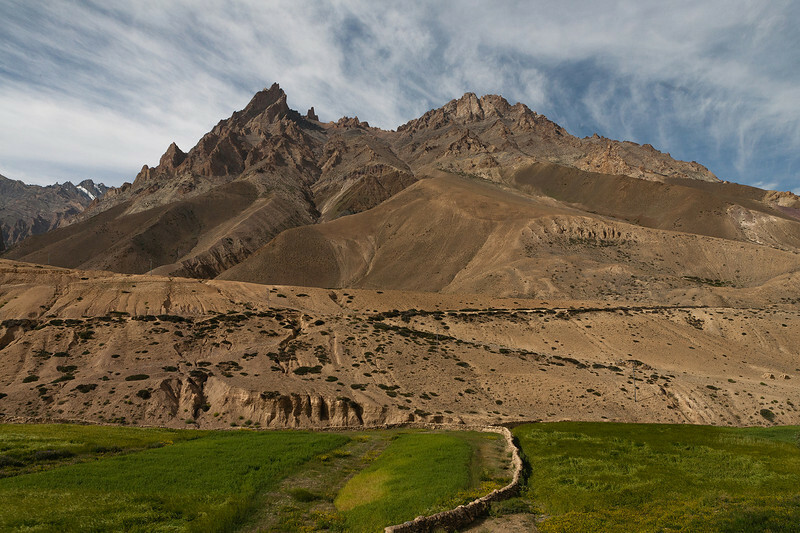 Kargil, at an elevation of just over 2500 meters is a suggested night halt for altitude acclimatization. 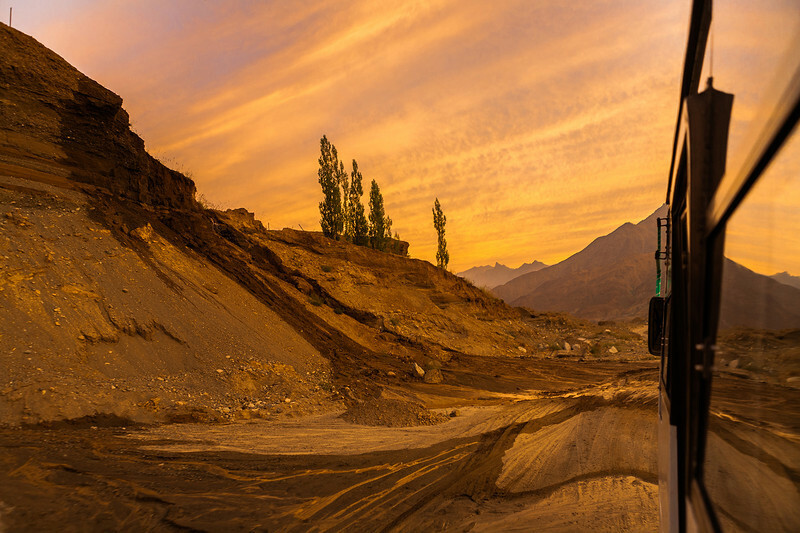 This is a sunrise at 5AM just out of Kargil on the way to Leh. 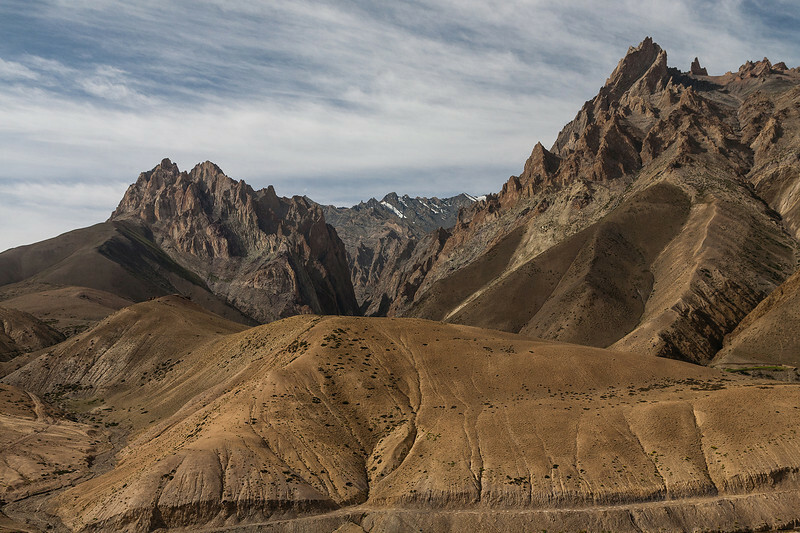 Tanglang la, is the first pass of the 470 km long Leh-Manali journey. We crossed the highest point of our entire trip, over 5300m atop the Tanglang la. 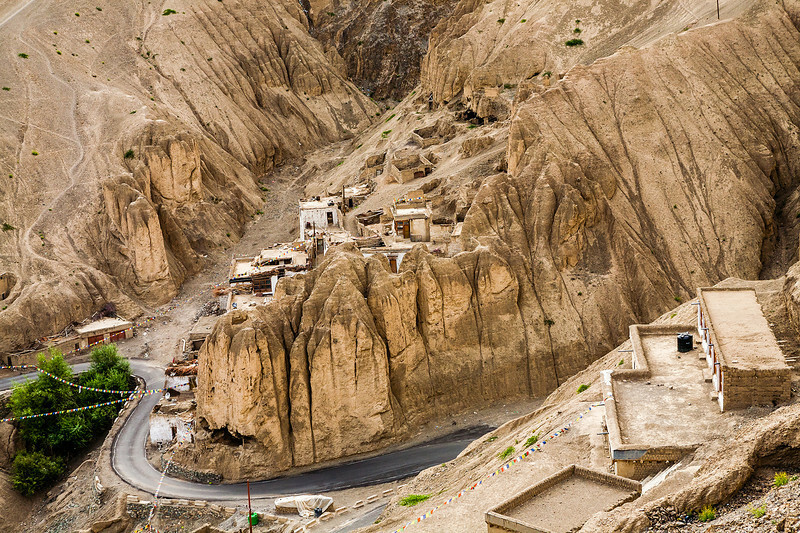 Lamayuru is a small village 100 km before Leh on the Srinagar-Leh highway. Its claim to fame is the moonlike landscape surrounding Lamayuru. So much so, that Lamayuru and moonland have become synonymous. They even have guest houses named Moonland in Lamayuru! The best view of this "moonland"; is from the top of the meditation hill in Lamayuru. 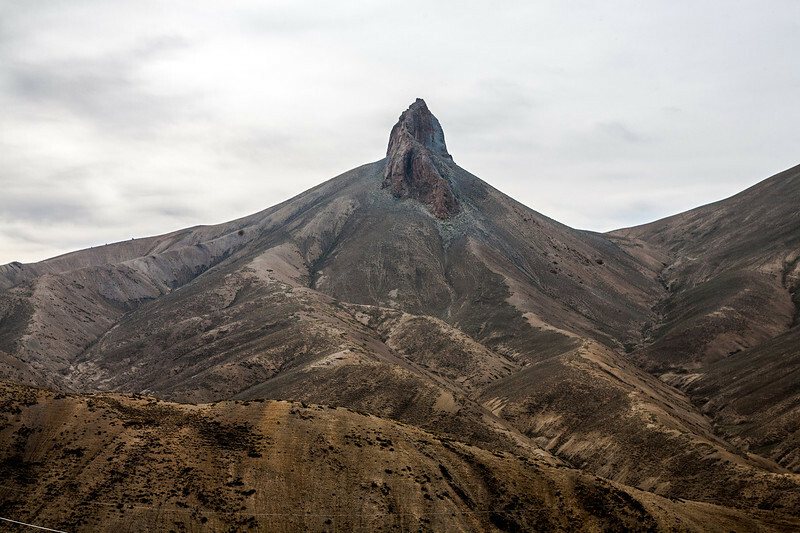 As you get to the top and proceed to the edge, a surreal landscape awaits you! The Gata Loops a series of hairpin bends. It was a roller coaster ride we will never forget. This is the bridge at a village called Mahe. 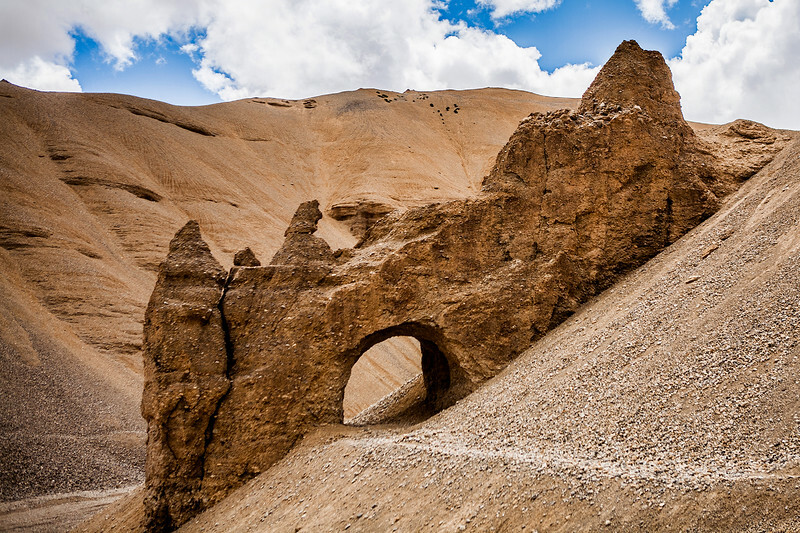 The bridge leads to Tso Moriri, a high altitude mountain lake in Ladakh. 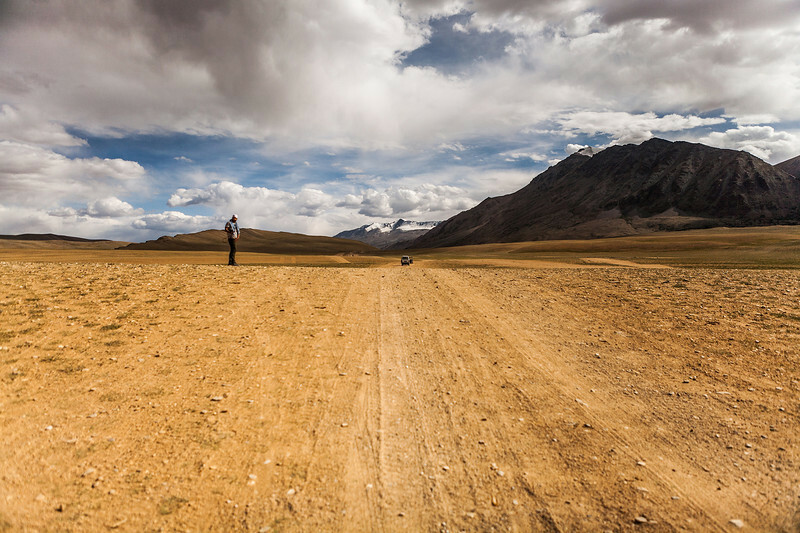 Going straight ahead leads to Pangong Tso, another lake. 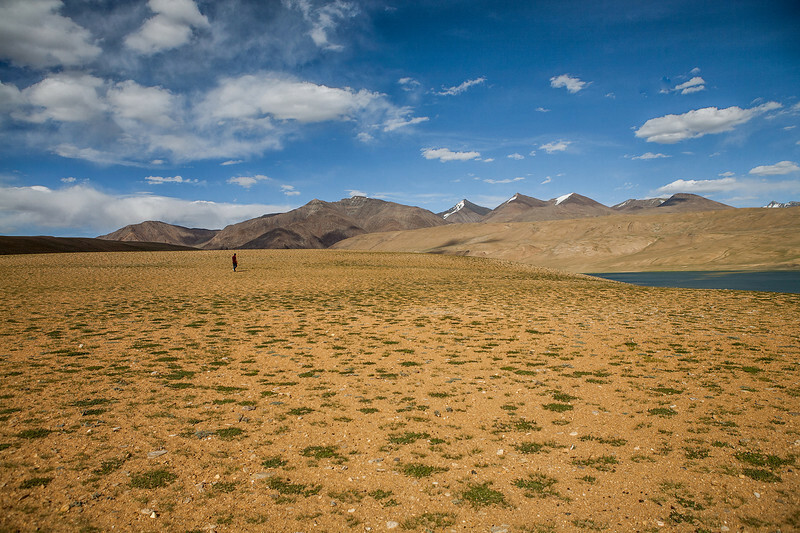 Read about our visit to Tso Moriri at Mystical magical Tso Moriri lake in Ladakh. Kyogar lake or Tso Kyogar is the trailer before Tso Moriri. It is a couple of hours before the actual Tso Moriri lake begins. 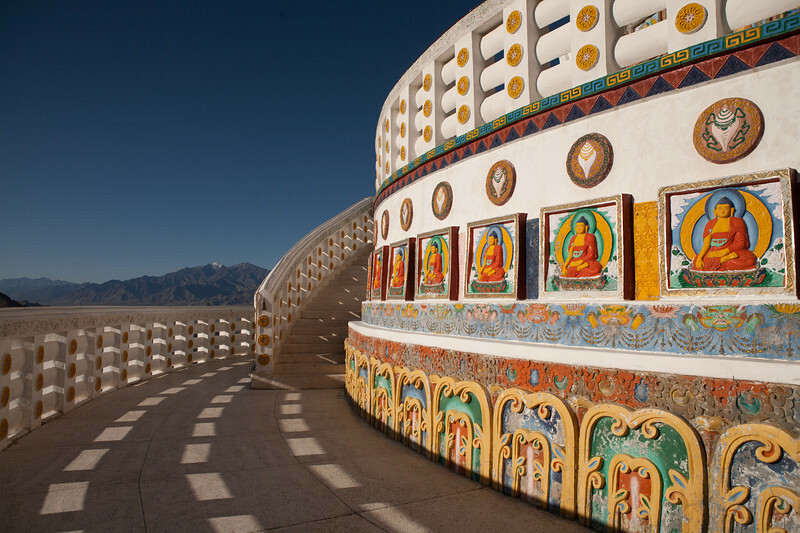 Read about our visit to Tso Moriri at Mystical magical Tso Moriri lake in Ladakh. 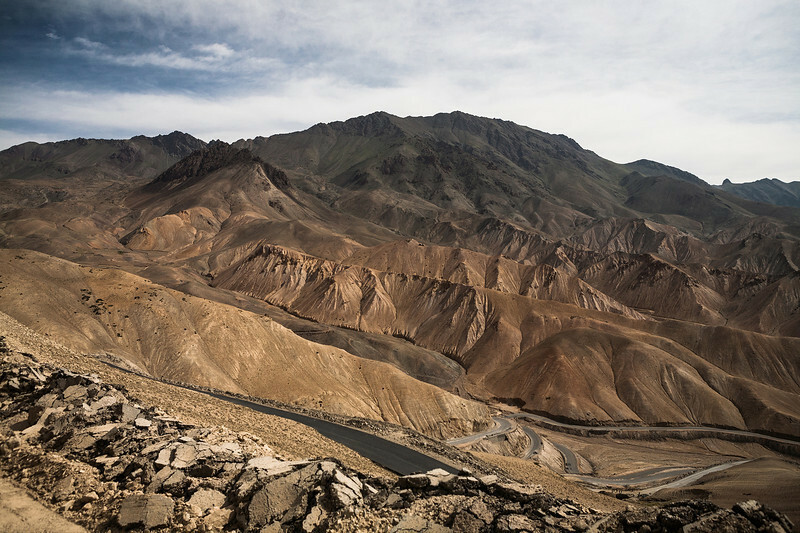 For most part of the drive to Tso Moriri we were negotiating ups and downs through the mountains. Suddenly we hit this vast flatland. It was hard to imagine you are at a height of 4500m. 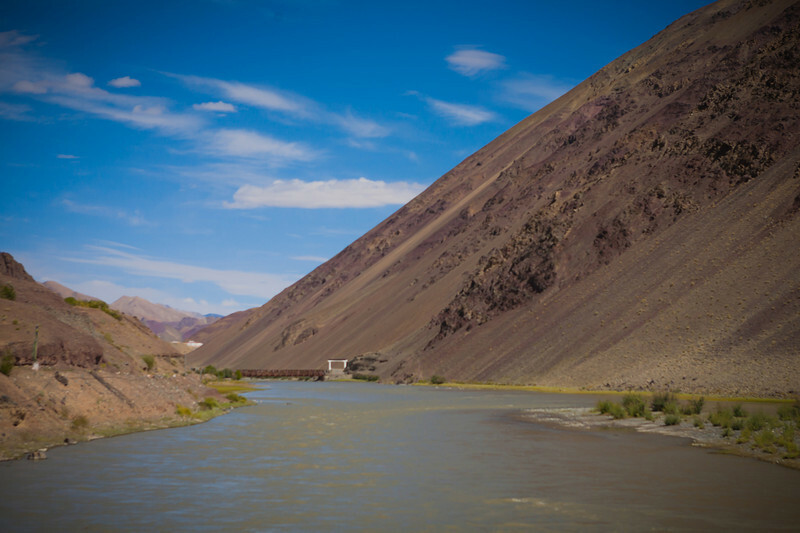 Read about our visit to Tso Moriri at Mystical magical Tso Moriri lake in Ladakh. 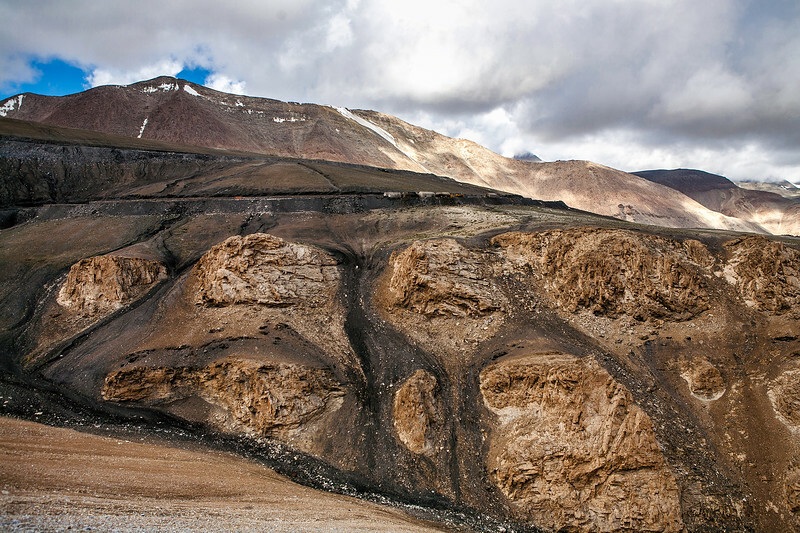 Leh to Manali journey is studded with unbelievable land formations like these. 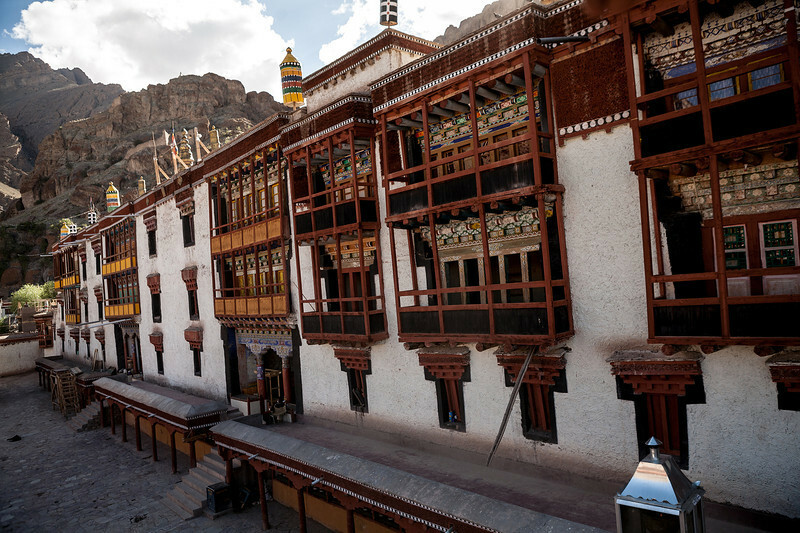 Hemis Monastery is the biggest monastery in Ladakh. 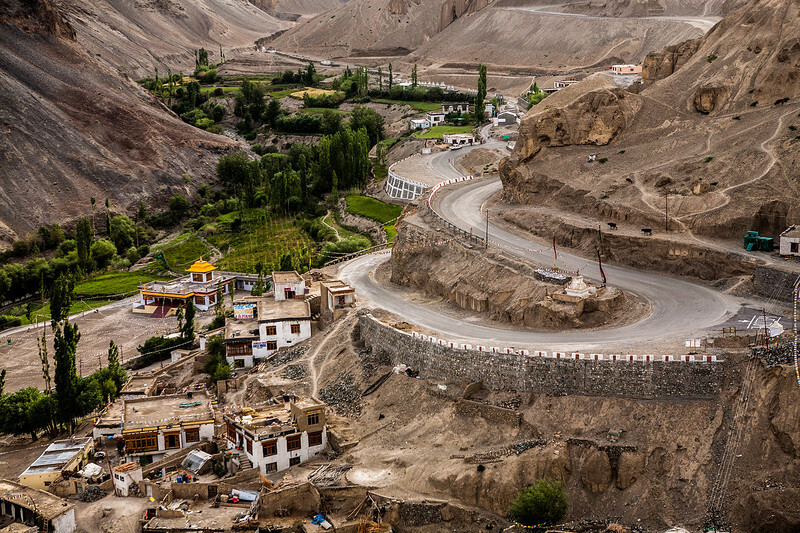 A short drive of 45 km from Leh it is located atop a hill. 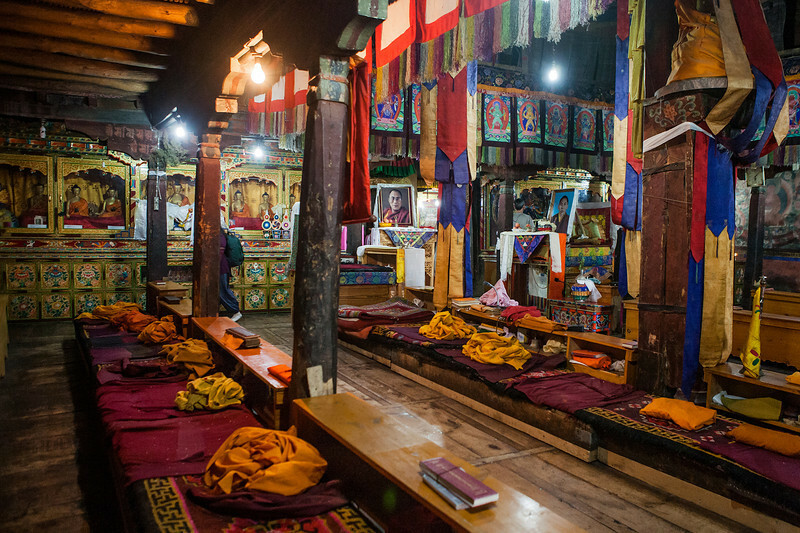 The several prayer halls, a museum, as well as the library are accessible to the visitors. Lachung la or Lachulung La or Lāchālūng La or Lungalacha La. 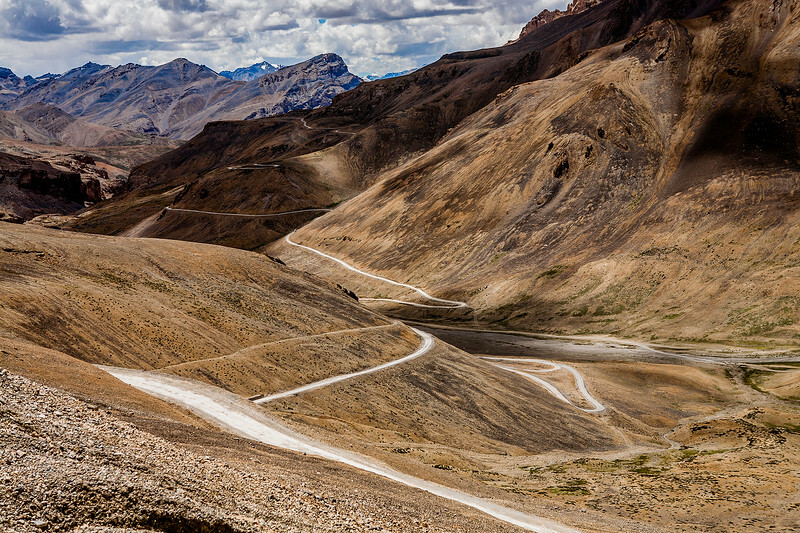 The second pass of the Leh-Manali route, it is a long meandering pass with its peak at 4891 m.